A fellow traveller once told me “I’ve had better Vietnamese food in Shoreditch than I have Vietnam.” Whereas other travellers when I was backpacking South East Asia said to me “You’re in for a real treat when you get to Vietnam, the food is great!”. For me, both these statements appeared to be true. Unlike Thailand where I had pretty good Thai street food all the time I was there, Vietnamese food was very hit and miss! I’m a foodie and part of travelling for me is all about eating to understand the culture better; even better if the food is cheap! So I was very disheartened when food stall after food stall we tried in Vietnam disappointed us. It took a while, but for the month I was in Vietnam we did manage to find some great and unforgettable food, which I now can look back on and crave without any chance of fulfilling that craving! Not even in Shoreditch. Sapa was probably my favourite place in Vietnam! Not because of the food, though it certainly helped, but because of its stunning view and carved up mountains! I’ll save that for another blog post, back to the food – the best food in Sapa is BBQ! When the evening comes there will be lots of little street stalls in Sapa, sizzling up to order meat sticks such as pork and chicken and vegetables. 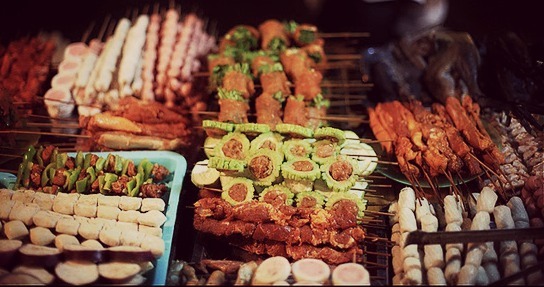 There’s lots of choices and you pay per stick, around 10 – 20 VND, so nice and cheap and you can try a variety of skewers at different stalls. One of my favourites was fragrant beef with mint leaves. You’d wrap the beef in the mint leaves giving a nice freshness to the rich meat. Sooo good. Despite being the place to go if you want to visit Tam Coc, Ninh Binh is one of those places that really doesn’t get many tourists, so prepare to stick out! It’s here we found a little food place run by a man and his daughter who spoke very little English. We had no idea what we were ordering, but pointed to a few things on the menu and hoped for the best! Luckily one of the dishes we ordered turned out to be the Vietnamese pancake – banh xeo. A banh xeo literally means sizzling cake. 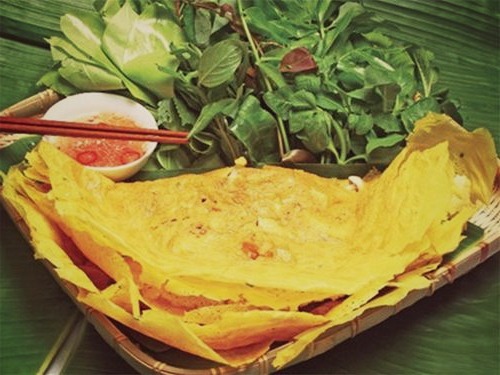 It is a savory fried pancake made of rice flour, water, tumeric powder, stuffed with slivers of pork, shrimp, diced green onion, and bean sprouts. So a nice and light change to all the pho we had been eating! Unfortunately the three of us can’t remember the name of the place we ate in apart from it had a yellow sign. Like I said, Ninh Binh isn’t very touristy, so there’s not much to go on on tripadvisor. But lack of tripadvisor means you get to explore and stumble upon your own little great finds. Yep that’s my excuse, I’m sticking with it. As it was Graeme’s birthday, Sar and I decided to surprise him with a Vietnamese cooking course. We ended up on The Home Cooking Class Hanoi by VietnameseAwesomeTravel and it was one of my favourite activities we did in Vietnam! Before we went here the food we had in Hanoi was pretty darn awful. On the course however, we cooked a wide range of Vietnamese dishes from scratch and our lovely host/chef Trang, taught us about Vietnamese flavours and what food she liked to eat. The course even gave us an introduction to the Vietnamese language (really, the Vietnamese need 5 tones?! ), and taught us some pretty handy bargaining words like discount please – “giảm giá” and too expensive – “đất qua“. 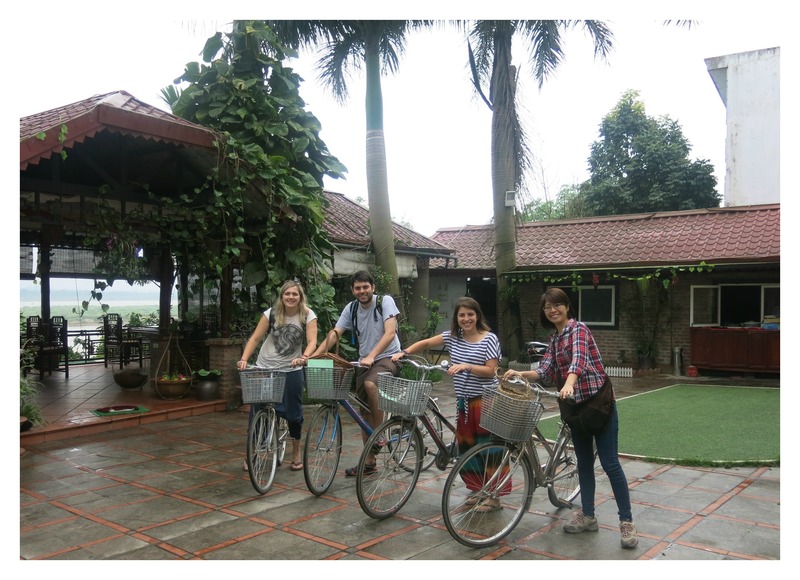 Trang told us about her favourite eateries in Hanoi which we checked out the following day – finally some decent food! I can’t recommend the course enough, not only did we learn more about the Vietnamese culture, language and food, we also got some tips of where to go in Hanoi for a good bite. As for the best dish we had on the course? Well that was hands down the Vietnamese coconut beef curry, served in a coconut (of course it was). Coffee is such a big thing in Vietnam. Fun Fact: Vietnam is the second largest exporter of coffee in the world! Vietnamese coffee is very distinct, very strong and often accompanied with a thick layer of condensed milk (trust me, it’s better than it sounds). Graeme and I often reminisce about a Vietnamese Ice Coffee we had in Bac Ha market, near Sapa. But for me, hands down the best coffee I had was an egg coffee at Cafe Giang. Recommended by our cooking course host Trang, Cafe Giang is tucked between two large buildings and is definitely a proper local Vietnamese hangout. You can get its famous egg coffee hot or cold, I went for hot and it was delicious. Creamy, sweet, caffeine goodness. So good I think I’d go back just for that. 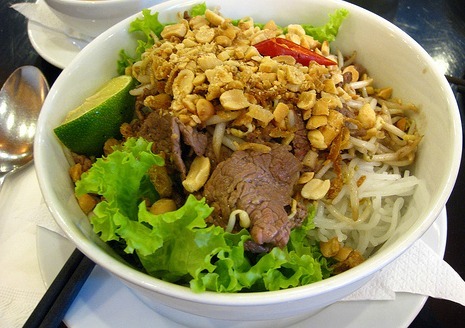 Another recommendation from Trang was Bun Bo Nam bo, a delicious Vietnames noodle canteen. We went here for the lemon grass beef noodles (Bun bo) which was delicious, fresh and a very good price – 60VND. It comes covered in a traditional Nuoc Man dressing. Not only was the food tasty and of good quality they didn’t skimp on us because we were tourists – our food was as good as what the locals got! One rule I stuck to when I was away was: “Avoid food poisoning – don’t eat western food, they don’t know how to cook it!” Now I’m not normally one for stereotyping but I feel this is a good rule to follow in South East Asia when the chances of you getting food poisoning are 50% (according to my Lonely Planet guide). However, after 3 months of rice, noodles and more rice and noodles you really do miss Western food. I remember going crazy over a box of cornflakes I found in a supermarket in Loas and I don’t even eat cornflakes normally at home! The good news is there is a place where you can forget the rule and satisfy that Western food craving – Dingo Deli in Hoi An. It’s great quality produce, it’s cooked fresh and done properly. Established by a Canadian / Australian family who relocated to Hoi An Vietnam in 2010, Dingo rustles up some great Western food like burgers, sandwiches and milkshakes! It’s obviously a bit more pricey than the street food, but it’s nice to treat yourself every once in a while, right? Also they have board games there. Who doesn’t like to play Uno whilst they wait for a burger? 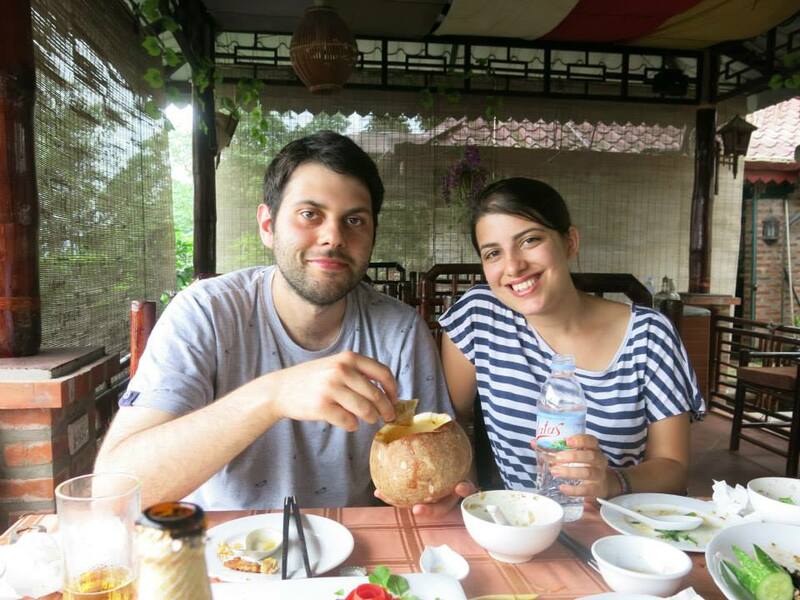 So there you have it my top food experiences I had in Vietnam. Like I said the food was very hit and miss but when you do hit, you hit good!